Whatever is on the menu, the Chantal 4qt. 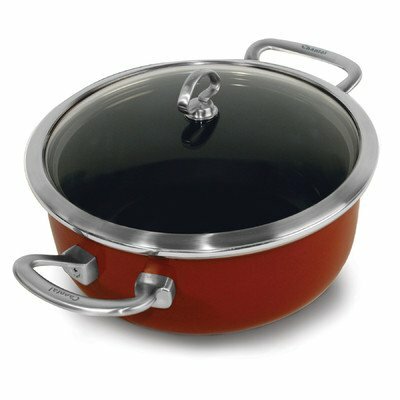 Chili Red Enamel Dutch Oven Risotto Pan with Lid offers the perfect gourmet experience. The premium enamel cookware is the perfect choice for healthy cooking and busy lifestyles. With German-engineered copper fusion, youre ensured superior heat distribution, while the stick resistant, enamel-on-steel cookware offers easy clean functionality.